Often they’ll use chicken or beef broth, even in supposed ‘vegetable’ soup. As a vegetarian, I really appreciate when restaurants are aware that vegetarians don’t want to consume meat-infused water with their vegetables. 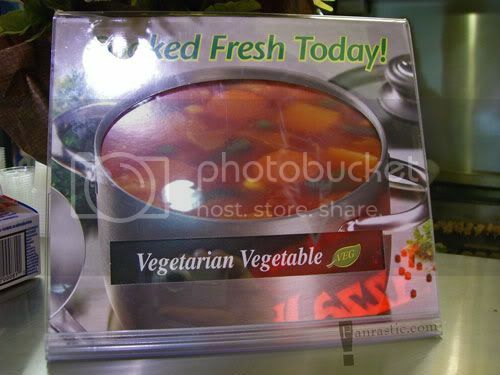 I’ve also seen “Vegetarian Soup With Chicken” for sale, so nothing is off limits.